The known references for Le Cheminant begin in February, 1847, when Mr. Le Cheminant, a jeweller, has a shop at 72 Wimpole Street, London. Although John Le Cheminant, “watchmaker and jeweller” died on 1 February 1876, the name continued, with Le Cheminant appearing in trade directories as ‘watch maker‘ at the same address, 72a Wimpole Street, in 1884. 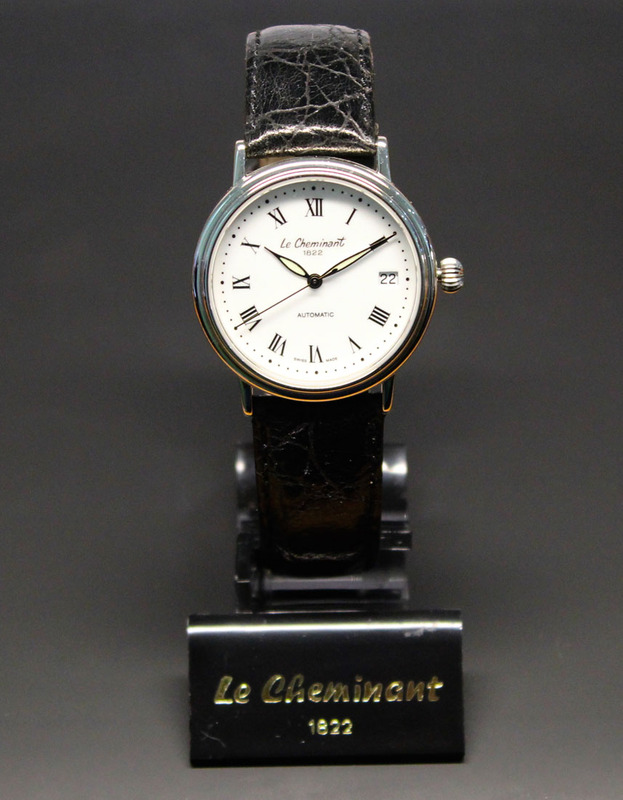 By 1915 Le Cheminant has an address at 81 Wigmore Street, in the same London district, and was inscribing this address on its timepieces. 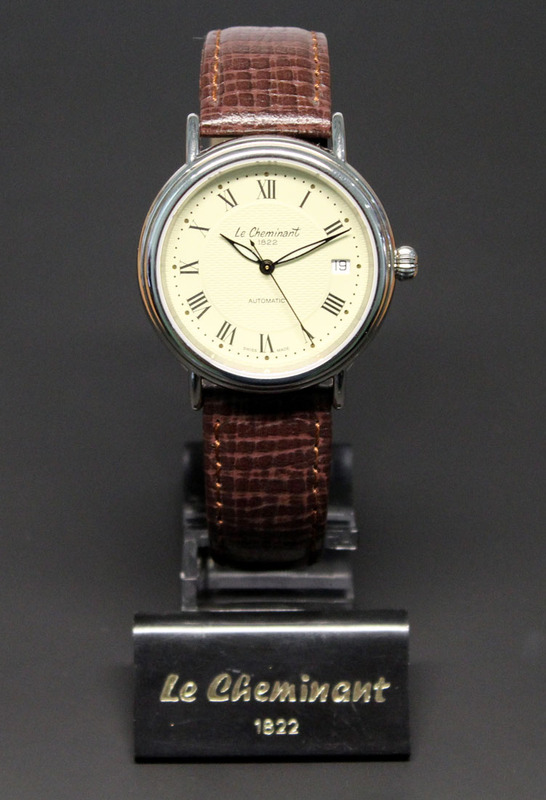 At this time Le Cheminant was among several companies which supplied precision timepieces to the British Royal Navy. By 1923 Le Cheminant had become Le Cheminant and Co, at 97 Wigmore Street on the corner of Duke Street. Classified ads appeared frequently with this address in The Times until December 1933, offering the reassuring information in 1927 that they had been established 100 years and, in 1929, that Le Cheminant had been established in 1822, significant because this date became a strong feature of the brand in later years. 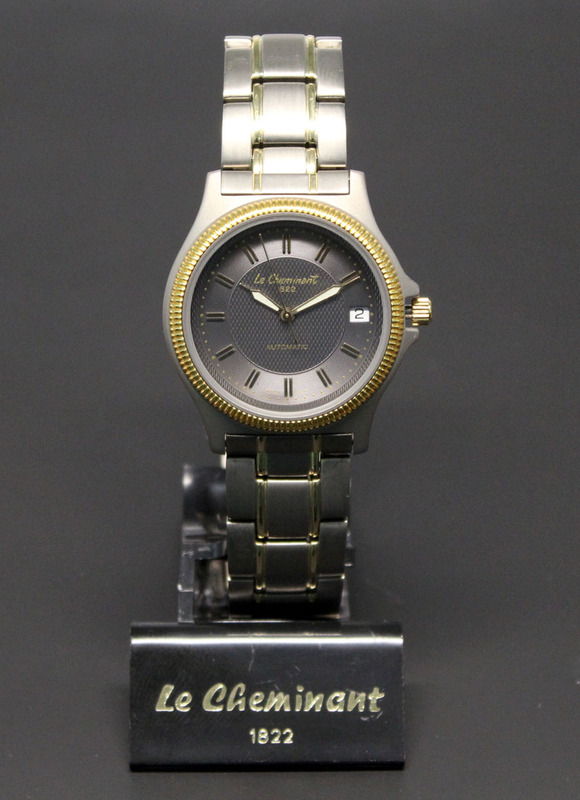 To 1967 and available Le Cheminant models were ladies’ watches with a variety of gold bracelets, children’s watches, pendant and nurses watches. All incorporated the Incabloc Shock Protection System. 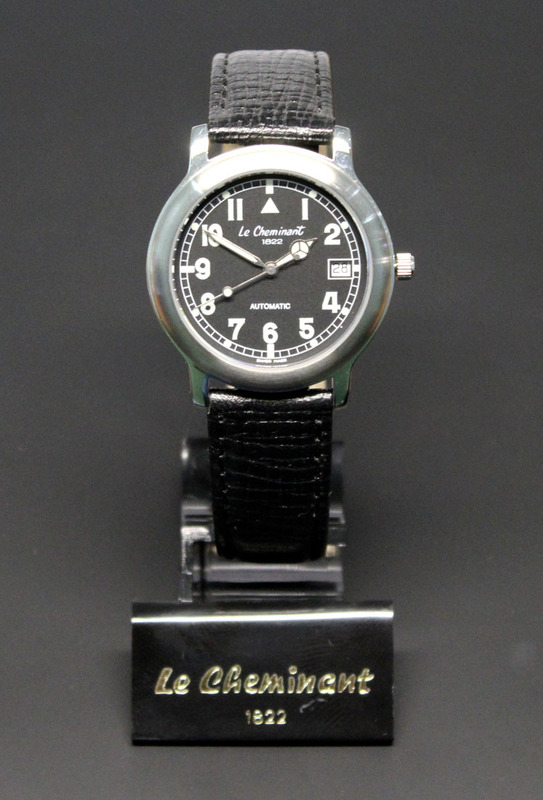 The Master Mariner series was one of their best-known lines and some models bore a close resemblance to high-end models on the market, such as the Precision Astrochon by Ollech and Wajs and chronographs by Rotary. 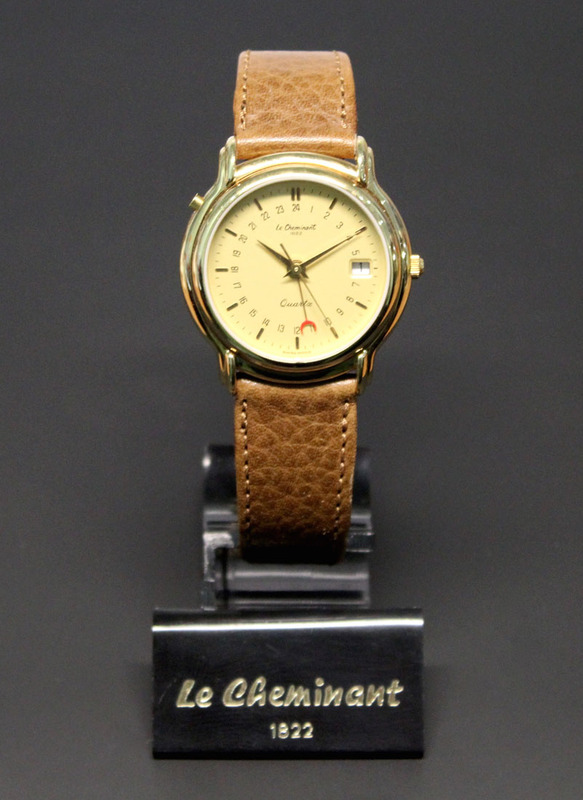 In 2007 the Le Cherminant brand was purchased by the present owner, Stephen Grostate, who is an outstanding watchmaker.